New technology being developed at Washington State University could help save amphibians around the world from a deadly fungal pathogen. Environmental DNA is a new technology that detects telltale bits of genetic material that living creatures shed into their environment. It enables wildlife scientists to confirm the presence of a wide variety of aquatic organisms without the hassle of finding them. "If we can predict when an outbreak is imminent, we can proceed with management actions such as anti-fungal baths that kill Bd," said Kamoroff, who is now a wildlife biologist at Yosemite National Park. "Mountain yellow-legged frogs in the Sierra Nevada have experienced a population decrease of over 90 percent in recent years. Environmental DNA could help save these frogs and other species of amphibians around the world from extinction." Kamoroff originally went to California's Sequoia Kings Canyon National Park in 2015 to determine whether eDNA techniques can be used to detect when non-native fish had been successfully removed from high alpine restoration lakes. 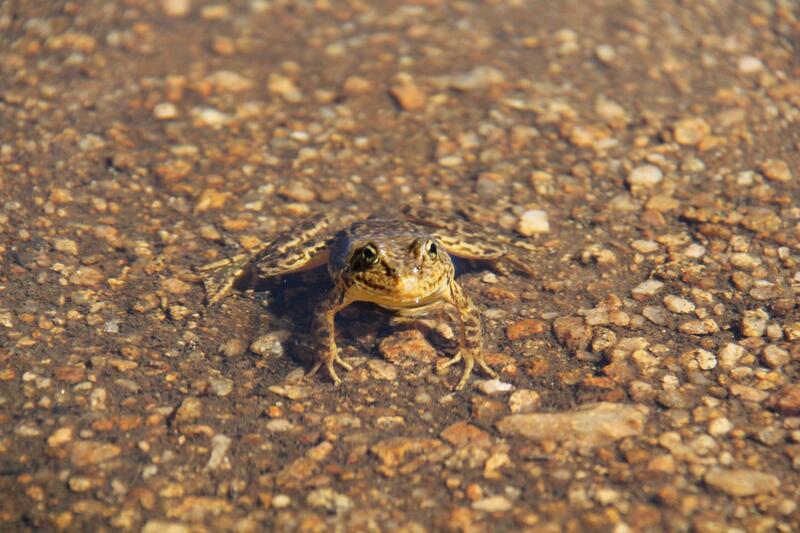 The lakes are home to two federally endangered species of mountain yellow-legged frogs. A month after she collected her samples, mountain yellow-legged frogs at three of the lakes experienced a mass Bd die-off. "I was curious if Bd would be detectable at the lakes I took samples from even though there were no sick looking frogs at the time," Kamoroff said. "So I decided to run the eDNA samples I originally collected for the lake restoration project to test for the presence of Bd." "Unlike skin swabs, eDNA does not require the capture or handling of the animals you are trying to protect," Goldberg said. "We think the technology will prove very useful in preventing the spread of Bd in the future." "Bd is the first emerging disease shown to cause the decline or extinction of scores of populations of amphibians not otherwise threatened around the world," Goldberg said. "eDNA could be a useful tool to help inform efforts to protect surviving populations."